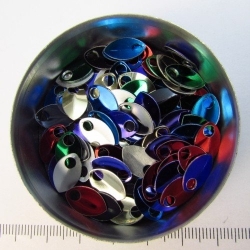 Anodized aluminium tiny scales There are 10 products. Shiny anodized tiny aluminium scales. Leaf-shaped, 12 mm long and 7,6 mm wide. The hole has a diameter of 3 mm. 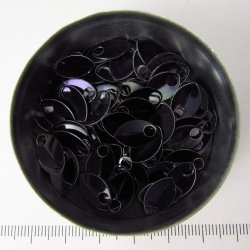 To connect these scales into sheets you'll need rings of 0,8x2,8 mm, at least two rings per scale. 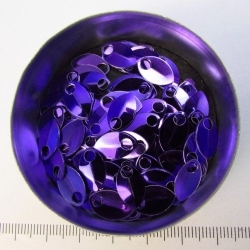 Purple aluminium, tiny scales, 100 pc. 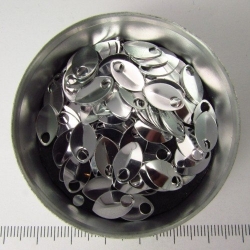 Silvertoned aluminium, tiny scales, 100 pc. Black aluminium, tiny scales, 100 pc. 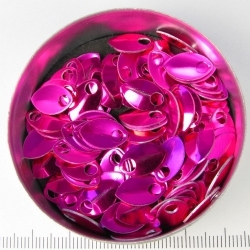 Pink aluminium, tiny scales, 100 pc. 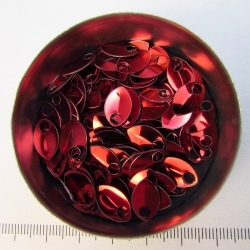 Red aluminium, tiny scales, 100 pc. 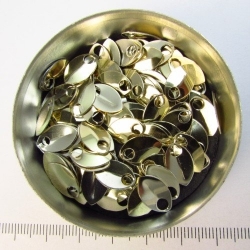 Goldtoned aluminium, tiny scales, 100 pc. 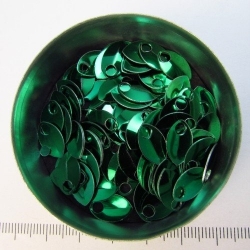 Green aluminium, tiny scales, 100 pc. 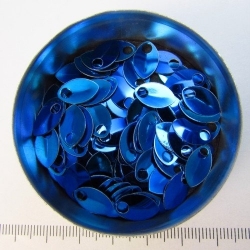 Blue aluminium, tiny scales, 100 pc. 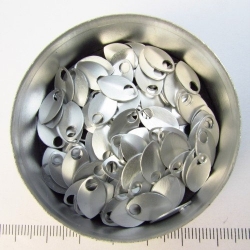 Assorted aluminium, tiny scales, 100 pc.